Gavin Francis is the author of the new book Shapeshifters: A Journey Through the Changing Human Body. His other books include Adventures in Human Being, and his work has appeared in publications including The Guardian and the London Review of Books. 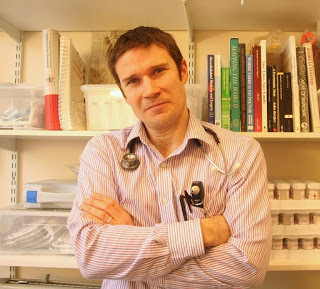 A physician, he lives in Edinburgh, Scotland. Q: How did you come up with the idea for this book, and did you need to do additional research beyond your own work as a physician? A: People come to me as a doctor because they want me to bring on some change in their lives, or influence some ongoing, unstoppable change. 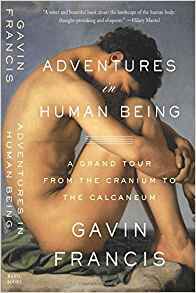 My first books were travel books about the Arctic and Antarctic, and my most recent book, Adventures in Human Being, brought the perspective of a travel writer to the geography of the human body. I wanted it to explore the body historically, culturally, philosophically, not just anatomically. With Shapeshifters my aim was to reflect more on the body as a place in space or a zone that is constantly changing. It changes in very rapid ways from moment to moment, but also in slower ways decade to decade. And I wanted each chapter to be grounded in my own clinical experience working as a physician, mostly in Edinburgh, but taking in experiences working as a doctor in polar regions, and in Africa. Some of the chapters look at the big rites of passage we go through - puberty and pregnancy, menopause and dying. Some look at the way our mental experience doesn't stand still but shifts ceaselessly, woven moment to moment by memory, taking in dreaming and drug use, mental illness and dementia. There are chapters that look at crises like anorexia, or those disruptions in the hormonal balance of the body that can make us grow into giants, or those maladies that led sufferers once upon a time to be branded as werewolves. Then there are those changes we impose on the body through willpower - such as building up our muscles, having our bodies tattooed, crafting and sculpting ourselves through cosmetic surgery. Regarding research, the clinical passages in the book didn't need much as they're all grounded in what I see and do every day. But there was a great deal of reading involved, all of it pleasurable, and the kind of reading I'd do anyway to fully inform myself about the cultural hinterland of some of these changes. 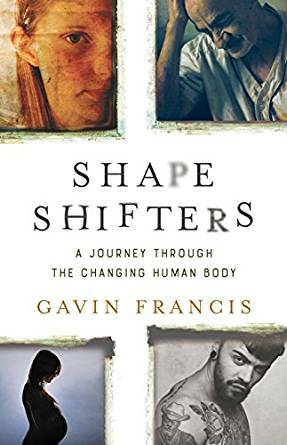 The book takes in reference points from Ovid's great poem of transformation The Metamorphoses, to the latest neuroscience and genetics examining the ways in which our DNA is ceaselessly shifting. Q: You write, "To be alive is to be in perpetual metamorphosis." What would you say are the most common changes your patients seek help with? A: It's impossible to say - one of the wonderful things about being a general family physician is the plurality, the wealth of diversity, of the kinds of problems you're called on to address. No two days in the clinic are ever the same. On a single day I might be checking over a newborn baby, assessing a healing fracture, helping someone mitigate their depression, diagnosing a new cancer, offering condolences over the death of someone's spouse, injecting someone's shoulder joint to ease its stiffness. I might assess someone with severe anorexia, and counsel someone else about being overweight, help one woman to conceive, then prescribe contraception for another. And easing the difficulties of ageing is one of the most important roles of medicine today - helping people to live as long and as healthy lives as they possibly can. Q: Some of the issues you look at, such as aging, are inevitable, while others, like tattooing or bodybuilding, are voluntary. How did you choose the topics on which you focus in the book? A: The choice of chapters was led very much by my enthusiasms, and particularly vivid stories that I have encountered in the clinic and wanted to share. There are many themes I'd love to have included but the changes the mind and body go through are near-infinite, and the book had to stop somewhere. I wanted to keep it within a certain narrative arc, from conception to the end of life, woven through stories from the great literary classics of transformation - whether that was Ovid's poem on Metamorphosis, Kafka on alienation, or Margaret Atwood on pregnancy. Q: The book includes a section on prostheses. What do you see looking ahead when it comes to scientific advances affecting the body? A: The technological advances we are witnessing right now are extraordinary, the pace of change feels dizzying. But we seem to be getting close to prosthetic limbs that can actually sense directly from the brain an individual's intention of movement - though we're not there yet. In the chapter on amputation and prosthetics I spoke to someone who has one of the latest generations of prosthetic limbs, and someone else, a quadruple amputee herself, who runs a charity providing low cost prosthetics in Malawi and Zambia. A: I'm always working on something, and ideas I'd love to find time to write about are usually percolating somewhere in my mind. Sooner or later one of them will take hold, and grow, and gather its own momentum. When a book starts to flow it's a wonderful feeling - it takes on its own life. A: From my perspective the necessity, the inescapability, of ceaseless change means there's always hope. --Interview with Deborah Kalb. Here's a previous Q&A with Gavin Francis.